(Nanowerk News) The challenge of predicting space weather, which can cause issues with telecommunications and other satellite operations on Earth, requires a detailed understanding of the solar wind (a stream of charged particles released from the sun) and sophisticated computer simulations. Research done at the University of New Hampshire has found that when choosing the right model to describe the solar wind, using the one that takes longer to calculate does not make it the most accurate. In the study, published in The Astrophysical Journal ("On Kinetic Slow Modes, Fluid Slow Modes, and Pressure-balanced Structures in the Solar Wind"), Daniel Verscharen, a research assistant professor in physics at UNH's Space Science Center, compared two commonly used theoretical descriptions, kinetic theory versus magnetohydrodynamics (MHD), when measuring the behavior of turbulence in the solar wind. Kinetic theory looks at the solar wind as a composition of rapidly moving particles and uses very complicated mathematical methods that require long periods of time when evaluated on sophisticated super computers. The second description, MHD, views the solar wind as being a fluid, or more gas-like, and is much less complicated to calculate. Surprisingly, the study showed that it was the MHD, the model that was faster to calculate, that delivered the more precise predictions. "Our research found that it makes a huge difference which model is used," said Verscharen. "We found that the much faster computed MHD models may actually capture some of the solar-wind behavior a lot better than expected. This is a very important result for solar-wind modelers because it may justify the application of MHD, based on first principles and observations." "If the solar-wind parameters were a certain way, they could use MHD modeling and if not, they might be better to perform simulations based on kinetic theory," said Verscharen. 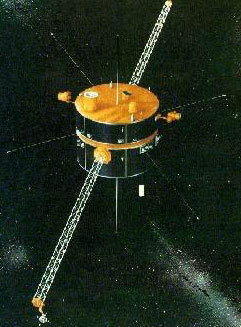 "It would just provide a more efficient way to predict space weather and the solar wind."